It’s official. We are worse off than Greece – at least when it comes to manufacturing. Our manufacturing activity rates among the lowest in the world, according to the Australian Industry Group’s (Ai Group) latest Performance of Manufacturing Index, which shrunk for the 26th consecutive month in August. 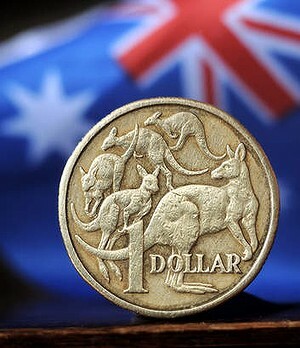 Australia’s PMI was again below 50, which indicates the sector is in contraction. But the rate of the decline is slowing, with the index rising 4.4 points to 46.4. Still it was a bleak figure. A comparative figure for Greece shows the troubled nation’s PMI rose to a 44-month high at 48.7. However, Ai Group chief economist Julie Toth says the Greek figure, like most eurozone countries, reflects a recovery after a sharp fall, which Australia and other Asian countries did not have. While there is a gulf between Australia’s economy and that of the Mediterranean nation, Bank of America chief economist Saul Eslake says there is some narrow comparison that can be drawn. Global manufacturing activity was up 0.9 points 51.7, fuelled mainly from a return to growth in China (50.1), and faster expansions in Japan (52.2) and Britain (57.2). Manufacturing output in Britain surged to its highest since 1994, while Japan’s hit a 2½-year high. In the world’s biggest economy, the US PMI eased 0.6 points to 51.1. Although Markit chief economist Chris Williamson says the US figure was disappointing, he says ”a more encouraging picture emerges if we look at the details”. ”In particular, inflows of new orders – a useful guide to future production – are growing at the fastest rate for seven months,” he says. While Eslake questions the traditional interpretation of PMI figures, saying a reading below 50 does not necessarily mean the sector is in decline, he says our manufacturers are struggling – and you don’t need PMI figures to tell you that. Our manufacturing sector has been declining as a share of GDP for the best part of 40 years, and Eslake does not expect that to change soon. This is largely because Australia does not have big domestic and export markets to achieve the economies of scale needed to build a strong manufacturing sector. Eslake says while the ”global centre of gravity is moving towards us”, with the emergence of China and India, our manufacturers will continue to struggle. Why? Because ”Berlin is closer to Beijing than Brisbane, Shanghai is closer to Stockholm than Sydney and Mumbai is closer to Madrid than it is to Melbourne. So we are still at a disadvantage. But Toth says the Ai Group expects Australia’s manufacturing activity to return to expansion before the end of the year, despite exports still being ”extremely weak”. She says the benefits of a lower Australian dollar are already filtering into business and should bolster growth. The dollar has fallen about 15 per cent since April after trading above parity with the US dollar for most of the past two years. ”There is a direct relationship between the data that we collect and what’s been happening with the Aussie dollar, and we are already seeing the PMI improve, even though it hasn’t actually hit 50 yet,” Toth says. ”There’s been a pick-up in local orders, and hopefully there will be in exports. Production is increasing.” However she says that is not translating to an increase in jobs. ABS figures show manufacturing employment has tumbled 12.5 per cent in the past five years. Activity rose in only three of the eight manufacturing sub-sectors in August, with food beverage and tobacco products recording the strongest reading. The petroleum, coal, chemical and rubber sub-sectors expanded, while printing and recorded materials also had a gain. Metal products continues to be the weakest sector. Toth says despite the weak figures, manufacturing continues to be the fourth biggest sector by output and employment, behind mining, financial services and construction.